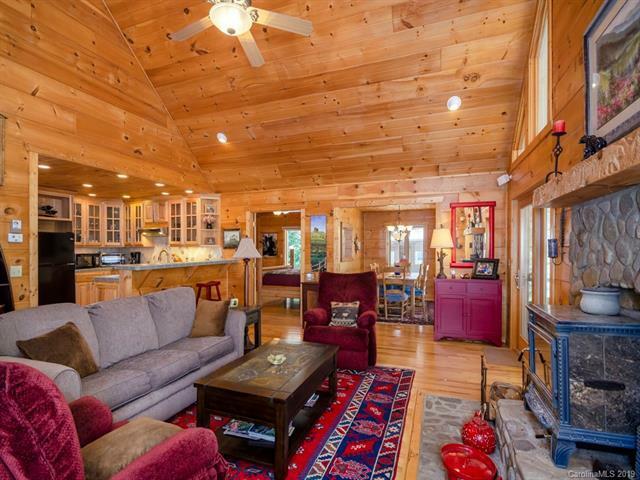 Handcrafted and custom built, this home sits on five lots totaling 4.5+ wooded acres in desirable Walker in the Hills. 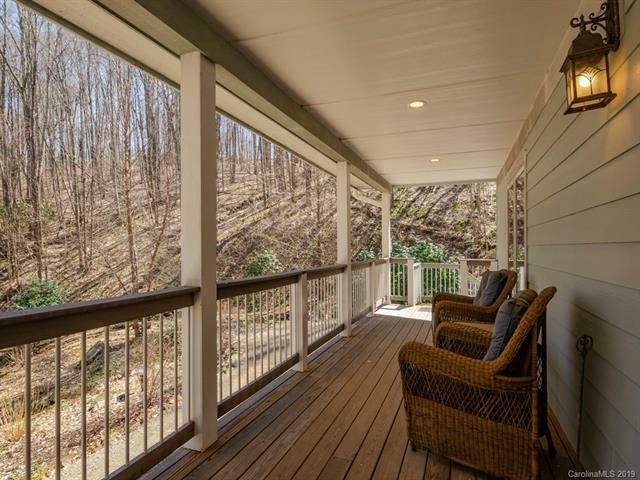 Enjoy the privacy of surrounding nature and the soothing sounds of the creek with waterfall from your spacious screened porch or deck. 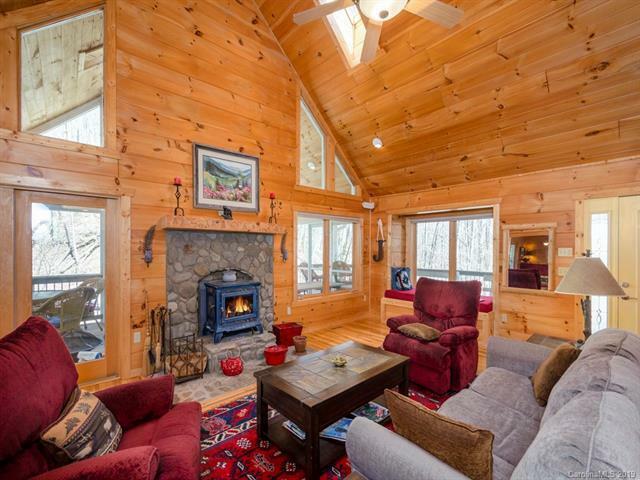 The two story great room boasts a wood stove fireplace with river rock surround and hand-carved wood mantel. Cathedral ceilings and ample windows allow natural light to fill the home. Cook with ease in this mountain modern kitchen featuring plenty of cabinet storage, a farmhouse sink, stainless steel appliances and breakfast bar. Retreat to the master suite with sliding door access to your outdoor sauna and hot tub and master bath with double vanity, claw foot tub and walk-in tiled shower. Second bedroom features built-in shelves and desks, ideal for an office, craft room or guests. Proper laundry room with counter space and storage. 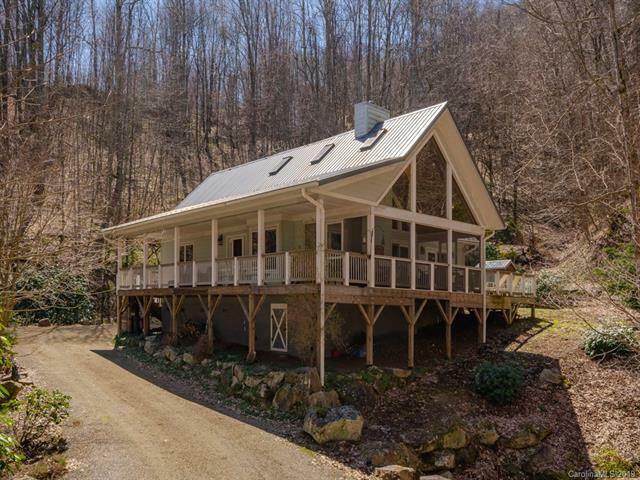 Only 15 minutes to downtown Waynesville with convenient access to US-74.